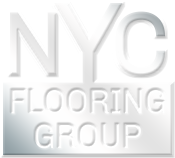 NYC Flooring Group has been in the floor covering installation service for over 28 years. This family business has been built on the foundation of friendly service, honesty to our clients, and most importantly integrity. Due to our long history in the floor covering business we can offer better pricing to our clients and a more professional installation experience. From residential carpet, commercial carpet, carpet tile, wood flooring, laminate wood flooring, vinyl tile, linoleum, stone tile, and our carpet cleaning service, you will find nothing but professionalism, and quality, from NYC Flooring Group.